ROOM G is on the third floor of the Victoria. 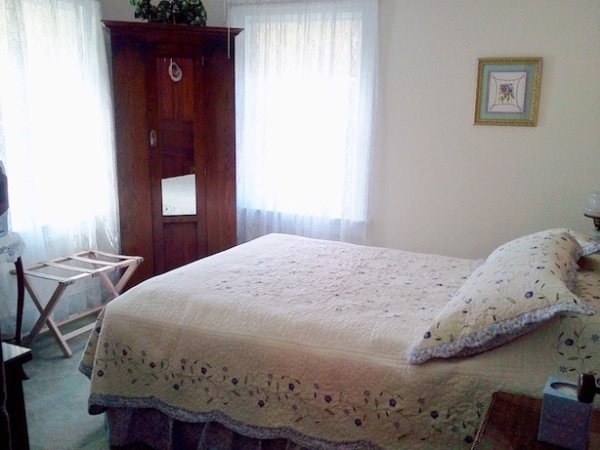 It has a queen size bed, antique dresser, chair, closet, and flat screen TV/DVD. 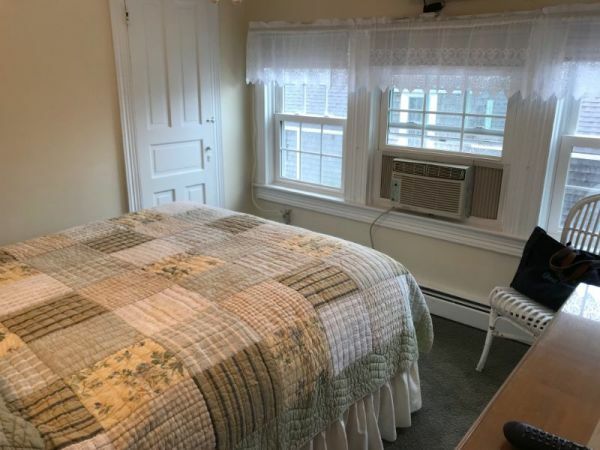 A small 1/2 bath with a sink and toilet is inside the room. The additional PRIVATE full bath, just a few steps away, has a shower, sink and toilet. Bathrobes are provided for your use for the trip down the hall. ROOM 4 is on the second floor of the Victoria Too with a view of the park. 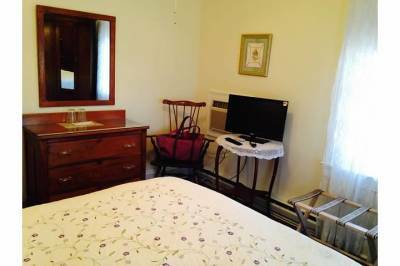 It has a queen size bed, antique armoire and dresser, chair and flat screen TV/DVD. 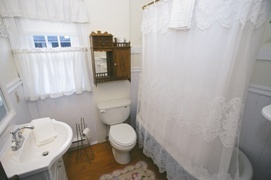 The PRIVATE full bath, just a few steps away, has a Victorian tub with shower, sink and toilet. Bathrobes are provided for your use for the trip down the hall..